You can feel the temperature in your face start to rise. Maybe you were distracted, rushed, or typed the message on the walk to your car – but somehow, you’d messed up. From CC’ing the wrong person and attaching the wrong file to misspelling key words, in the world of emails, the delete button does not apply after you hit send. The first email was sent in 1971. In 2013, over 182 million emails were sent and received by more than 3.5 billion email accounts, according to the Email Statistics Report 2013-2017 by The Radicati Group, Inc.
As years pass, email continues to evolve. But with extra features—links, attachments, video, social media follow buttons—the opportunity for mistakes also becomes greater. Let us be honest: English is hard. Even native English speakers get tripped up on where apostrophes live in plural words, when to properly use pronouns, and how to avoid the passive voice. Just in case you fear for those out-of-place commas, here are some tools to get your emails from Spam to Starred. Mistakes are made. Your eagle eyes spotted it and thankfully it’s not too late! However, like the title says, we want you to understand how to harness the unsend power, not scramble for it. Gmail first released the experimental unsend feature in 2009 and more recently received press for the why-hasn’t-this-been-done-before tool. In case you missed the buzz, you start by clicking the gear dropdown button (Settings) in the top right, under your profile photo. Click the Labs tab, third from the right. Search for Undo and Undo Send will show as an option. Change disable to enable and do not forget to save. You now have an extra – short but helpful – 10 seconds to delete the damaged correspondence. This can be extended to 30 seconds after sending by clicking on Settings, then General to click on Undo Save. Do you work with international partners and receive every other email in a foreign language? If language skills aren’t quite your forte, Microsoft Outlook and Word have a fancy feature that tells the proofreading program to take note of the language in use, not just the default. To take advantage of the tool, start a new email draft. Find the Language cluster under the Reviews tab and click Language. Then, click Set Proofing Language. In the Language box, check Detect language automatically. Before you start and send, double-check the languages used are above the double line in the Mark selected text as list. Your lexicon not above the double line? Enable the editing language to add it. Note that this tool does not apply to Microsoft Outlook Express. Email newsletter service Mailchimp has approximately 5 million users that send about 6 billion emails a month. With all those users sending all of those words in all of those templates, it’s common for things to go wrong. So, there are checks and balances. 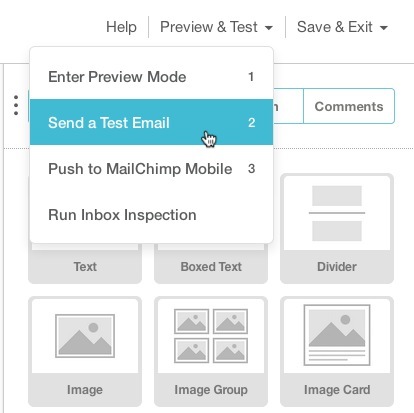 After creating a campaign and drafting a newsletter, enter preview mode to review the text. You can send a test email to ensure the formatting is correct. Be sure to test on different operating systems to make sure your email looks fine across various platforms. Grammarly is an online tool that checks more than 250 rules of writing, including contextual vocabulary and potential plagiarized passages. 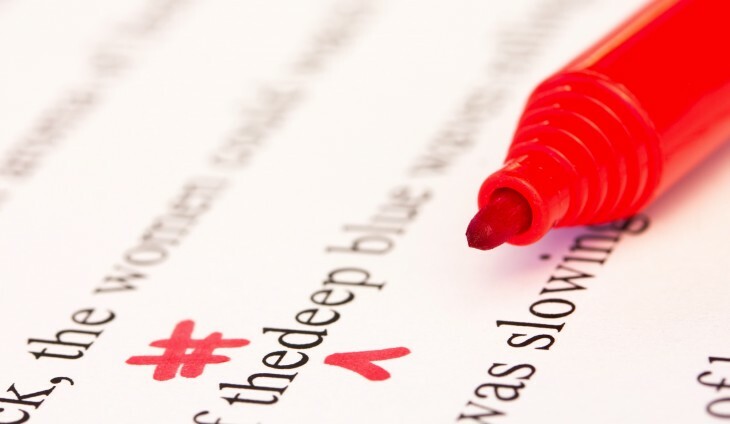 The copyediting service boasts the ability to find mistakes that word processors commonly miss. To double-check your work, copy the text from your email, paste it in the homepage box, and take a moment to blink while Grammarly reviews with accuracy and super speed. You’ll receive a grade out of 100 and get a proofed email copy. Grammarly has a monthly, quarterly and annual tiered pricing model that starts at $29.99. 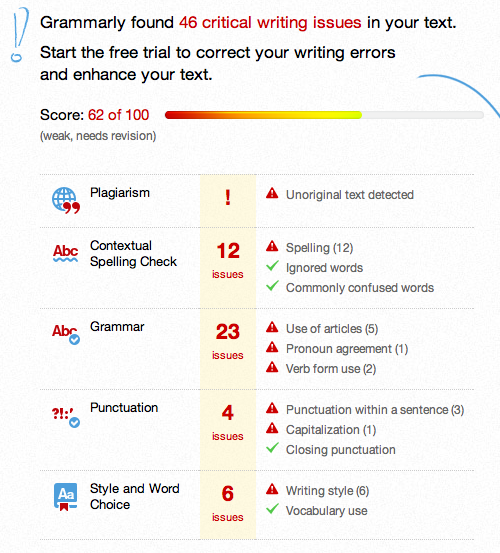 If a paid proofreading tool is not worth for your monthly budget, you may also opt for Grammarly Lite, a Chrome extension in it to help you win it. After adding from the Web Store, the free tool shows up as a green circle in the bottom of your Gmail drafts. It checks for some – but not all – of the attributes as the paid version. This is particularly useful for those just looking to send casual emails in a professional setting. The green circle also acts as a guiding friend on connected Facebook and Twitter posts. You can also opt for several other free proofreading software, such as Ginger, a tool that highlights your grammatical mistakes in bolded colors, or Paper Rater, which can check for potential plagiarism. Everyone could use a little grammar refresher to combat the ever-changing language of the Internet. If you have a little extra time but not enough to dig out the bound AP Style Guide from college, click to QuickandDirtyTips.com. The site features advice from experts (with adorable illustrated avatars) including Grammar Girl, the pseudonym for English pro, Mignon Fogarty. She gives short and sweet explanations for commonly transposed terms such as imply versus infer, and dangling participles. You can also search for specific questions to find related informational articles. Have a few minutes on hand? Prep for the next round of emails with a game. Open the iPhone App Store and download the $1.99 Grammar Pop and gamify your way to instinctual proofreading. 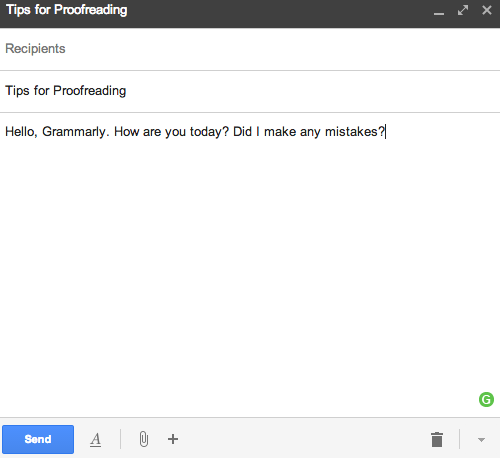 Not to be left out, one of the greatest tools for proofreading emails resides within you. If possible, don’t rush it. If you have an important email to send, write it in advance so you have time to manually proofread even after using the tools above. Read carefully; don’t just scan for sloppy spelling, grammar goofs, and questionable content. Triple-check your To, CC, BCC, and Subject lines and make sure those are all accurate before you have a #ReplyAllNightmare on your hands. Do you have a favorite proofreading tool? Share them in the comments below. This post has been brought to you by Mailchimp: send better e-mail.